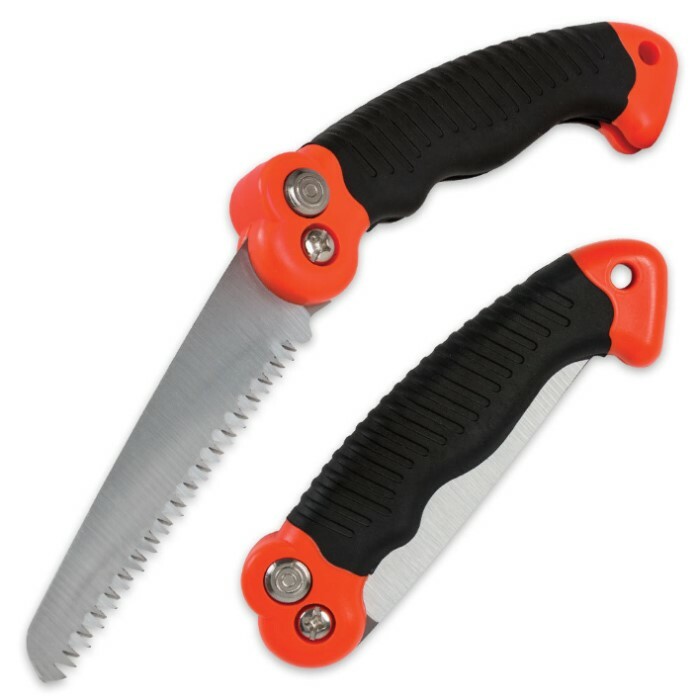 Multipurpose Folding Camping Pruning Portable Saw | BUDK.com - Knives & Swords At The Lowest Prices! 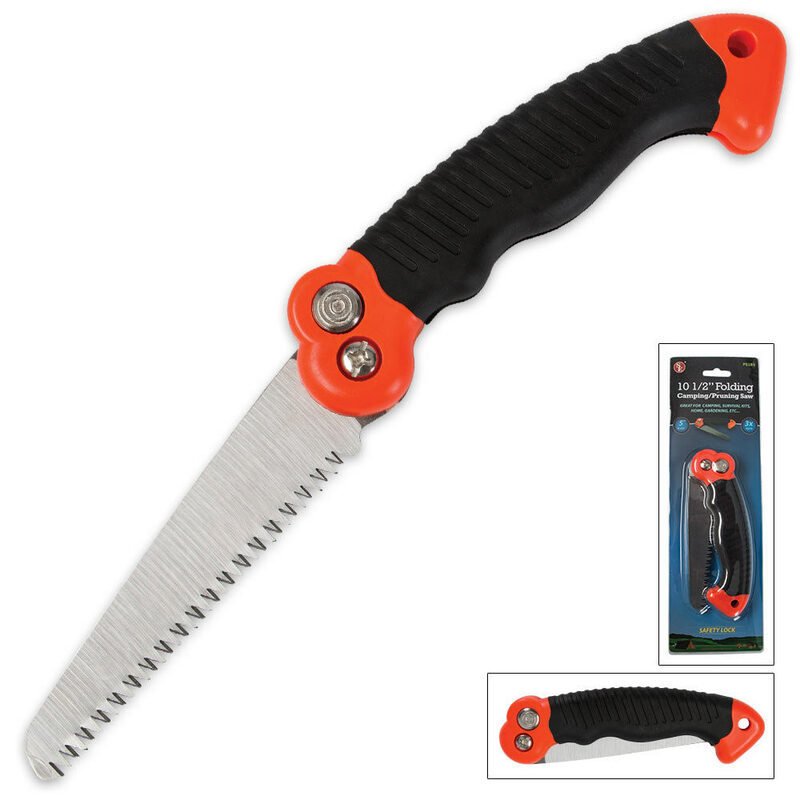 This multipurpose folding saw is a must-have for your bug-out bag, camping gear and work garage! It is one of the handiest folding saws around, featuring a 5" stainless steel blade with razor-sharp shark-tooth-style serrations that will saw through just about any light job. A built-in safety release button ensures safety, and the durable plastic handle features a rubber grip for a secure, safe grip. 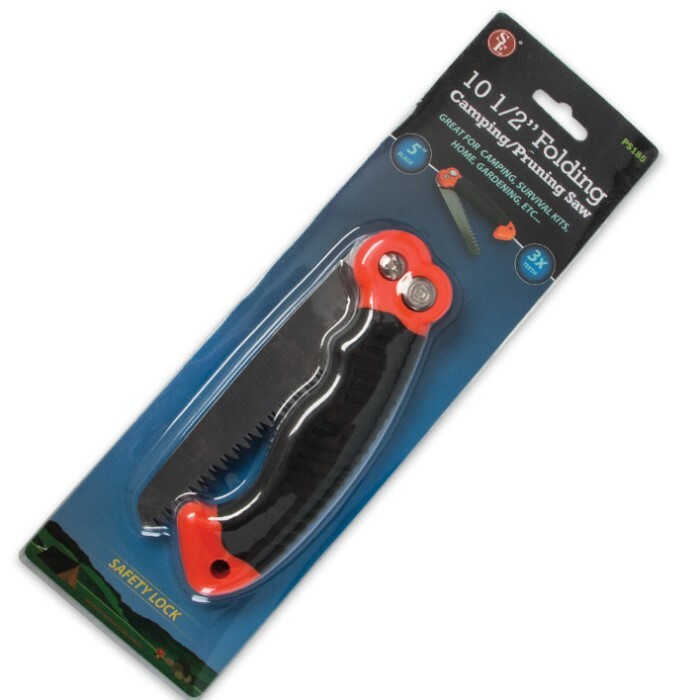 Best of all, this saw folds to a compact 6-1/4" closed length, making it very easy to transport.